It's that time again, North America, for the Nintendo Download details to tempt you into parting from your eShop funds. We have three new titles on the Wii U eShop, an excellent arrival on 3DS eShop, Virtual Console entries on both systems, discounts and more. Let's get to it. Missed the European Nintendo Download Update earlier this week? Don't fret, the details are right here. 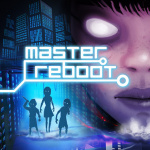 Master Reboot (Wales Interactive, $14.99) — A "haunting first person sci-fi adventure" in which you work through the Soul Cloud, solving puzzles and attempting to make sense of your character's life and death. An intriguing concept, with footage also showing some fairly stylish visuals; we'll see whether it lives up to its potential in our upcoming review. Super Toy Cars (Eclipse Games, $7.99) — This has been described as Mario Kart meets Micro Machines, though those are lofty comparisons. A racing game with a career mode and local multiplayer support, there are 12 tracks, 16 vehicles and 48 career events, along with a description of this as an "arcade combat racing game". We'll get into gear to bring you a review. Wooden Sen'SeY (Neko Entertainment, $9.99) — This is an action platformer, joining various others in one of the most popular genres on the Wii U eShop. Along with standard running and jumping you have a grapple and some combat moves, with some other variations in level design; the setting is 'SteamPunk Japan', too. We'll bring you our review very soon. 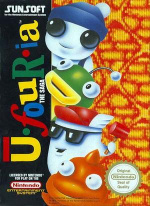 Ufouria: The Saga (Sunsoft, $4.99) — This could perhaps be described as an alternative NES Metroid, but with an excess of cuteness and Japanese charm in its place. You explore the world and uncover new abilities, also switching characters to progress; we gave this a strong recommendation in our Wii Virtual Console Ufouria: The Saga review, and we'll have another look. Siesta Fiesta (Mojo Bones, $5.99) — Inspired primarily by Breakout, but also by platformers and other genres, this introduces block-breaking gameplay with sidescrolling, boss battles and some other ideas besides; it also serves up with some lovely colourful visuals and 60fps performance. We were big fans in awarding 9/10 in our Siesta Fiesta review. Pick-A-Gem (Gamelion Studios, $3.99) — Yet another match-3 game arrives on the portable, this time with the emphasis on rapid tapping rather than swapping tiles around. Though not particularly bad, this does little to distinguish itself and hold the gamer's attention, as we explain in our Pick-A-Gem review. 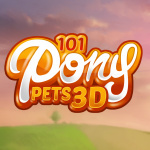 101 Pony Pets 3D (Selectsoft, $4.99) — If caring for puppies, dinosaurs and all-manner of other animals doesn't work for you, of if full size horses aren't appealing, this pony-sim aims to fill the gap. Promising 101+ variations of pony and related fun looking after your animal of choice, it aims to grab the attention of pet-sim fans. We'll give it yay or neigh (sorry) soon. Blaster Master (Sunsoft, $4.99) — Certainly classed as one of the stronger third-party titles of the NES era, you alternate between navigating the world in a tank and on foot, with eight regions making this lengthy by 8-bit standards. Importantly, it's a lot of fun over that playtime, as our Master Blaster review explains. That's the lineup for this week, North American download fans. Let us know what you plan to download in the poll and comments below. I'm happy to see Blaster Master on there, that was one of my favorite NES titles growing up. I might get Ufouria. Sorta bummed that Blaster Master is on 3DS instead of Wii U, but I can live with that. Otherwise, if you've never played Trine 2 it's totally worth the price. Blaster Master for my 3DS, and, judging by your review, I'll get Siesta Fiesta too now. Why are Trine 2 and that Poker Dice game listed under "Wii U Virtual Console Promotion"...? Might have to get Siesta Fiesta down the road after reading the glowing Nintendo Life review. 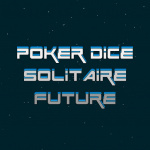 Also, having already own it, I recommend POKER DICE SOLITAIRE FUTURE if you like Yahtzee and want a good time killer when you are watching TV or what not. Certainly worth $1. Another boring week unless you loke samurais and fiestas. Lots of fun games this week! What a great turnout! Man, I was psyched for Mega Man 5 & 6 on the Wii U all week after seeing Europe get it. Oh well. Maybe the week after next. Nothing for me this week. It's like Nintendo is conspiring to prevent me from spending the credit I have from the Digital Deluxe Promotion. No Pokemon, no money for you Nintendo!!!!!!!!!!! A cavalcade of quality games this week. Siesta Fiesta for sure, and probably Uforia. Waiting on the reviews for Sen'sey and Master Reboot before deciding on those. Nothing for me. Although I might pick Blaster Master up eventually. For anyone who doesn't already own Ufouria, I highly recommend it. Definitely one of the absolute best NES games. Pretty sure that Trine 2 has been on discount so many times that anyone who was remotely interested in it has already bought it. It may as well be permanently discounted to $8. Nothing for me again. Think the last week where there was anything at all for me was... Mario Kart 8? Gosh, there's been such a drought, even including indy and VC releases. I would get Wooden Sen'SeY but I don't have enough on the eshop at the moment and I might get Ufouria: The Saga. Siesta, Master Reboot and at some point down the road Blaster Master. Edit: actually, Scooby Doo and that 101 Pony thing are on the eshop but Siesta isn't. What gives? ReEdit: Ahhh... Siesta time! 2 hours later. Better late than never. Ugh, I hate when North America and Europe's Wii U VC releases are out of sync. Now there are FIVE titles I'm waiting for: Super Mario Kart, Mega Man V and VI, Pop'n Twinbee, and Adventure Island. And we won't be getting any of those next week either, since Mega Man Battle Network took the only spot. Just, ugh. Wow, Blaster Master! Finally!!! I hope Uforia comes to the 3DS VC. I'm still waiting for Devil World as well. to the staff of nintendolife, could we get a review for scooby/ looney tunes? No Battle Network for North America? Nothing for me this week then. That's okay, my backlog has grown considerably these past few months. Whoah wait a minute! I just checked, I've played Blaster Master on Famicom before and I loved it! (Can't remember if it's the same title in Famicom). I DEMAND that you release it on Wii U VC NOW! How many times are they gonna discount Trine 2? @Mr_Trill281 my homie. I'm interested in Master Reboot but really want to see NL's review first. So still no Pokemon TCG, that's a shame. Is Trine 2 worth for that price? still waiting on Pokemon TCG....was the first game i ever preorderd. 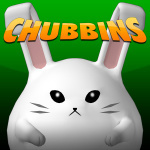 love that game! Imakuni is awesome. Siesta time for me. Third week running. @simonhwsn Yes. When in doubt, check out the review and some YouTube vids, but it's a beautiful game that handles well. Sweet, four games for me this week on Wii U. I'd get Master Blaster on the 3DS but I can't see that been fun to play on the small screen. The VC is still a slow trickle of mostly underwhelming games and the "sales" are always the same handful of games. Mrgrgr! So why Reboot, Toy Cars and Sen'Sey launch simultaneously in NA and Europe while Shovel Knight is still getting the localisation treatment? I guess it's time to get Trine 2 once and for all. I was wishing they will had a Batman sale like they did on Europe, specially with comic-con and Batman's anniversary on this week. Oh well. I have $25 eShop credit atm... what to get that I don't already have.... Hmm. Definitely! I bought it at launch for $19.99 and got my money's worth out of it. Man, NA VC...I thought for sure that it was picking up in April, but boy was I wrong. Can't wait for Battle Network next week, though! I'm still wanting Game and Watch Collection 3, DKL 1-3, Pokemon TCG and others for 3DS. Nintendo is sitting on so much cash! Is Scooby Doo 3ds actually okay and not just shovelware? I remember a time when there were plenty of simple, yet fun platformers on the DS. Garfield's Nightmare comes to mind. Great game. I always hope that that will be the case for 3ds games like this too, but usually I end up disappointed. Although to be fair, I guess that we got Mega May before EU. That's pretty good. Nothing for me. I just bought Mario Kart 8 last week. And won't have money again until the 20th. Might not even then since I have Professor Layton vs Ace Attorney on the 29th and back to school stuff to buy for my kids next month. I like to buy like 2 eshop games at once so I am getting Master Reboot and Gucamelee (even though it came out like a month ago still got it). Master Reboot looks a pretty nice Horror genre from a good developer. Its not like The Letter or anything guys. BLASTER MASTER!!!! FINALLY!!!! This is one of my favorite games of all time and ever since EU got it on Virtual Console like 2 years ago Ive been crying. Haha. Downloading it this second! Everyone needs to get this game! I recommend Ufouria. Good game. And another week that just proves how much more crappy NoA is compared to NoE. No Megaman, no Pokemon, less discounts, more crap, worse club Nintendo selection, and later release dates (most of the time when they are not released on the same day). I don't know if I want uforia now it's to cutsy or something. No Mega Man V or VI like in the UK? C'Mon Nintendo/Capcom....I'm getting Blue-Bomber balls over here! What the heck? I went to the eShop to grab Ufouria...which I already had on Wii. Unlike every other game I've ever tried to upgrade, it still wants to charge me the full $5. Anybody else having this problem? its only a bad week depending on your own personal interest. I haven't tried trine yet maybe it's time to play it.Master reboot though, i don't know i might get it now.But with that price hmm now i'm thinking really hard about this. Leaving for a trip in a couple days and trying to decide what to get for that, Blaster Master or Siesta Fiesta. So hard to decide! And both rhyme! Starting to think we're never gonna get quality releases. @Stuffgamer1 Same issue here. I'd say wait a while and they'll fix it since this has happened before. Great week. Blaster Master and Ufouria are heads and shoulders above a silly card game. I'll get Uforia if they fixed the sound emulation. Otherwise, I'll pass. @SparkOfSpirit: I had no idea this had ever happened before...that makes me feel a little better about it. @brooks83: I didn't know there were any problems with it. I DO know that since it was a PAL import, it actually ran at 50hz on Wii...I compared it to the Japanese version and the difference was obvious. Are you talking about that or something else? Seista Fiesta downloading now. Might buy Sensei if reviews are good. There's been a lot of good games of late and my wallet is crying for a timeout. You guys forgot to mention that Super Toy Cards feature a track editor, making it an instant buy for me. Other than that, I'm interested in Wooden Sensey and Siesta Fiesta. Neko knows the Wii U better than any other indie, so Wooden Sen'Sey for me. It's beautiful, artistic, quick, smart and looks challenging. And unlike so many 'broken promise' indies, it's HERE. On the VC side.. wow, what a wasted chance. MMBN next week but where's MM 5 and 6?? Master Reboot looks like what the Letter could have been (with better programming, artists, production values, and workable controls). And really, after the terrible Hello Kitty and Hot Wheels racers, could STC really be so horrible? It looks worth 10$, which is a quarter what those titles charged. The big news is Trine: Enchanted Edition. Absolute classic title about to be made even better. Edit. Blaster Master is what I'm talking about. Eight dollars for Trine 2 on the Wii U? Not bad. Two dollars during one of the many Steam sales? Even better. Thanks RCMADIAX, buy your game shortly after it comes out, have yet to play it and there's already a 99 cent discount. Ahh its whatever I really felt like supporting the first HTML5 Indie Game Developer for the Wii U.
Oh awesome! 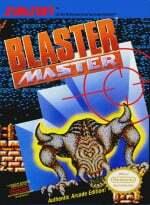 Been waiting nearly a year for "Blaster Master!" (Odd it took that long, the GBC sequel's been on 3DS for a long time.) Been waiting for it, and other Japanese VC games, (like Bubble Bobble) for a long time. I want to download Ufouria onto my Wii U. It should be discounted at a $1.00 for me because I already have it on my Wii VC. But for some reason it's not recognizing it and insists on charging me $4.99. It has happened once with me before when trying to get Super Castlevania IV. I ended up calling Nintendo Customer Service (first time I've EVER had to call them) and the guy on the other end of the telephone acted like he had no clue what I was talking about when I was explaining the situation. Though I already own Trine 2 on steam I never got around to playing it as I would prefer a console version! Not sure what the director's version contains, but I may just pick this version up and play it instead! man the music is just sped up, no biggie. some people made a huge deal about that all across the wonderful internet and it pissed off people at sunsoft so they never released gimmick. Siesta Fiesta + Shovel Knight, all within one week!! @ogo79 There's still Journey To Silius, as well. I hope they actually release them this time. i guess could be true if you consider it "quirky"
Finally, the correct discounted price is showing for Ufouria! Well, I'ma go with Siesta Fiesta, Wooden Sensey, and I'm a wait to get Trine when they release the ultimate edition. NoA you stink!!! Why oh why can you only squeeze out 1 wii u vc title a week here when Japan gets 4-5 a week and now it seems Europe vc picking up speed?!?!? You guys are horrible man horrible!!! You better post all 3 mega man games next week!! No reason not to do so!!!! Even though there is a huge selection this week, it's nothing for me. And why the hell does Japan have 12 turbographx16 games & we have zip???? And why the hell does the whole world have super Mario kart except the U.S.????? And SEGA where are you??? Get off the fence and jump in....you're missing out on $$$$$!! @joey302 Simple, NA doesn't matter anymore to Nintendo, Why do you think NA has fallen to the rock bottom for everything now? its ridiculous fellas!! we're getting the shaft big time. i also wanna add that there are a truckload of squaresoft wii u vc titles also in japan not released here as well!! why??? its BS!! Trine 2 is discounted because the enhanced Wii U version of Trine i heard is releasing this year right? Warner Bros. meets Hanna Barbera?? UFouria is really good. How can I beat the water boss level? when i jump over him i can´t scape and I get kill. Still missing Snake Eater in the states. Well derp, the moment Trine 2 is on sale is usually when I'm out without my Wii U.
I plan on getting Wooden Sen'Sey and probably Kokuga. Blaster Master?! Finally!!! Nice surprise after getting back from a four day trip!